Univ.-Prof. Dr.-Ing. Dirk Müller started his scientific career after finishing his studies of mechanical engineering at RWTH Aachen University and the Thayer School of Engineering at Dartmouth. 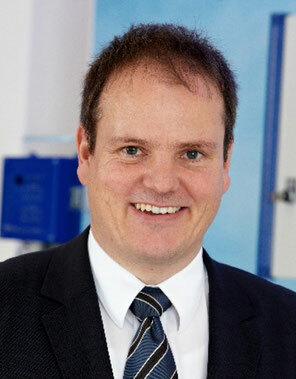 After completing his doctorate, he worked at the Robert Bosch GmbH in the central research department and at Behr GmbH as process manager for simulation. In 2003 he became a university professor at the TU Berlin, and until 2007 he was head of the Hermann Rietschel Institute. In 2007, he has been assigned as director for the new Institute for Energy Efficient Buildings and Indoor Climate (EBC) at the E.ON Energy Research Center. In addition to his research and teaching activities, Dirk Müller served as Chief Technology Officer of the TROX GmbH from 2011 to 2015. Since 2016, he is responsible for the accompanying research "Energy in Buildings and Districts" for the Federal Ministry for Economic Affairs and Energy and took up the position of the managing director of the Heinz Trox Wissenschaftschafts gGmbH.